This Make It Real make up set is perfect for little stylists. Make your look really pop with this awesome lipstick that changes colours when applied. 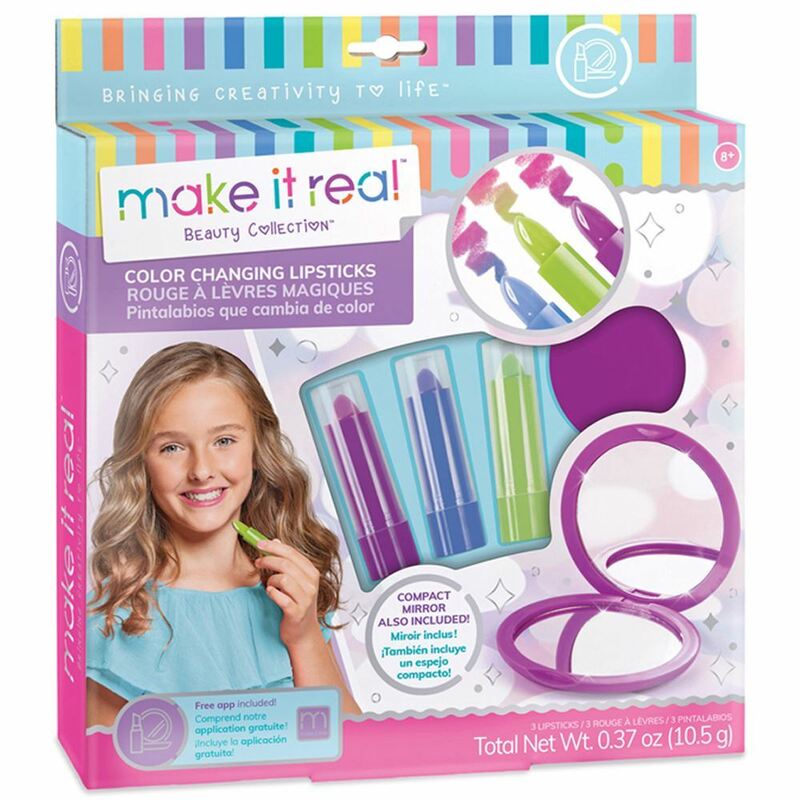 Includes: 3 colour changing lipsticks, compact mirror, instructions and dream guide. Age 8+ years. Part of the Beauty Collection. Distributed in New Zealand by Holdson.